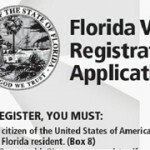 Prior to more stringent rules being adopted by the Florida Cabinet last year, thousands of non-violent felons in Florida had their right to vote restored. Between 2007 and March 2011 the rules permitted the automatic restoration of civil rights to many non-violent felons upon their release from incarceration or completion of sentence. During this period a felon would be mailed a Restoration of Civil Rights Certificate (RCR) which would entitle them to register to vote. Many, however, never received their RCR certificate. A spokeswoman for the Florida Parole Commission recently stated that the Commission has more than 17,000 returned letters containing RCR certificates which were never delivered because of incorrect addresses. 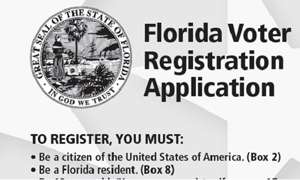 The Florida Parole Commission maintains a website where felons can determine if their civil rights have been restored and obtain an RCR certificate. According to a report from the Commission, since tighter restrictions were imposed in 2011, the number of felons whose civil rights have been restored fell from 5,719 in 2010 to 52 in 2011. This entry was posted in News, Voter registration and tagged florida election attorney, Florida election disputes, Florida election law, florida election lawyer, florida election problems, florida felons restore rights, florida felons right to vote, florida parole commission, florida restore civil rights, Florida right to vote, florida voter registration, florida voter registration law, Thomas Shults, Tom Shults, voter registration. Bookmark the permalink.